Peter Briggs’ Alien vs. Predator is a topic that I’ve always enjoyed and a script I’ve always enjoyed reading. I have just uploaded two new articles about the subject and the 30th episode of the AvPGalaxy Podcast where RidgeTop, Xenomorphine and I discuss the could-have-been Alien vs. Predator film. “Briggs’ then agent Steve Kennis coincidently had a meeting with Larry Gordon from Fox and managed to sell the script that very same day. According to one interview with Peter Briggs, Larry Gordon would eventually tell Briggs that the concept of an Alien vs. Predator had only been discussed days before the meeting with Kennis where Fox had asked Gordan to develop the project. It was very much a case of being in the right place at the right time. Peter Briggs’ Alien vs. Predator started life in 1991. Our second article on Peter Briggs’ Alien vs. Predator is a breakdown of the script itself and provides a detailed look at the events of the script itself: “The Hunt: Alien vs. Predator opens with a group of five Predators on a hunt on a barren, acrid planet which is described as “Death Valley on a grand scale”. The Predators land on the planet and make their way to a cave entrance hidden within a canyon. Inside they find the cave walls covered in Alien resin and used carcasses of facehuggers. I’d like to thank Peter Briggs for taking the time to chat with us and to fact check The Hunt Begins: The Early Days of Peter Briggs’ Alien vs. Predator article. Last, but by no means least, we have the 30th episode of the AvPGalaxy Podcast. We mention in the episode that this episode was intended to be the last of the year but not long after Alien: Covenant was announced and we recorded another episode. This should hopefully be released sometime next week. So what did you think of Peter Briggs’ Alien vs. Predator script? Have any comments on our newest episode or articles? Let us know in the comments below. Like everyone else, I think that Brigg's script should've been the movie we got. As much as I love both AVP films, this is the one we definitely should've gotten provided a little bit more polishing here and there. I'm sure had we gotten this instead, we wouldn't be having these massive retcons which turned the franchises into the mess they are now. This was a good listen, very nostalgic for me and it reminds me of my childhood and teenage years when I was really getting into Alien-Predator. Those were some good times, good times indeed and... perhaps those were just better times in general for me, not just as a fan for the films. I remember reading the script and loving it, still have printed copy around here. In regards to AVP3, a hypothetical AVP3, I wouldn't want it to be a reboot... but perhaps.. a "distanced" sequel. Still set in the same universe as the previous two films, but with little references (except for Charles Bishop Weyland). Kind of like how Jurassic World did. In regards to AVP3, a hypothetical AVP3, I wouldn't want it to be a reboot... but perhaps.. a "distanced" sequel. Kind of like how Jurassic World did. That's pretty much the kind of approach I would love to see them take too. As long as it's set in the same universe as the previous two movies with little to no reference, without Prometheus or PREDATORS influence, I'd be for it. I wouldn't care about that as long as it felt natural. But at it's barest it just needs to be Alien/s and Predator. For me, as a fan who grew up with the old stuff and the two movies, it's something I care about. Lately I feel like as an AVP fan, I'm no longer really part of the demographic and I want to keep on supporting one of my passions but at the same time, I feel like... that's just not happening with the current direction they are going. But if they did do a hypothetical AVP3, and keep it in the same universe-- even with little references to the previous films.. I'd be happy. I just want to be happy again. I mean this is what we call a loose continuity, and some movie franchises have it more than others. Jurassic World, while having tighter knit roots to the previous movies, is a case of that in a way. Also, TMNT 2007, while touted as the fourth movie... generally is kind of it's own movie that can either be taken or left with the previous TMNT movies (although there are references to Secret of the Ooze and TMNT III), it's kind of a stand alone. So... if AVP3 does that like Jurassic World or TMNT 2007, fine. I'd be down with that. I've uploaded the podcast again - in mono instead of stereo this time. Seriously? People actually like seeing Aliens used as targeting practice for Predators and Marines?? Got to have low iq to actually want stories like this... Predator vs Alien is just a dumb idea that should never have even happened. Many of the smart people who made and played in Alien and Aliens will agree. It's just dumb mindless action. Smart Alien fans don't want to see lasers flying all over the screen...wooppiiee effin doo. Aliens in a jungle jumping around like a bunch of monkeys...wow..I just thank God for Ridley Scott is all I can say. If theres another Avp movie why would it be Avp 3? Wasn't Avp 2010 the the 3rd part of that act? i thought so. The Alien and Predator franchise has multiple universes if you count the expanded universe stuff. You got the Charles Bishop Weyland universe and the Peter Weyland universe. Now in one universe the xenos take over earth after Aliens. Multiple comics follow this event including Avp Three World War and its two prequels(The predator comic could be excluded).The Charles Bishop Weyland universe exclusively links the games Avp 2010 and Predator Concrete Jungle since Charles is mentioned in both. Prometheus and its continuing story line can also be counted as its own universe on account of 3 things:1-The color of the ringed planet in Prometheus isn't the same color as the one in Alien. 2-The Weyland Storm rifle replaces the M41-A pulse rifle. And 3-the powerloader is a product of Weyland corp and not Caterpillar. I myself like to think the 1st Avp by rebellion takes place after Alien 3 and the big deletion from Civilized Beasts causes almost all information about xeno contacts after Ripleys sacrifice to be lost. Hence general perez's misinformation about the xenos being wiped out when the Colonial marines technical manual states wy was in the process of going to acheron after the Sulaco reached its destination with no crew. The Alien and Predator franchise has multiple universes if you count the expanded universe stuff. If done right, this could have been a super boost to the franchise, and possibly saved it from the downward spiral in terms of public opinion, even if the other films had been exactly the same. The general public was hungering for an Aliens-style film, and this could have delivered the goods big time. With that need satiated, I think that Alien 3 would have been more accepted as a return to the style of Alien, and Predator 2 would probably not have been viewed as harshly by the public either. Alien Resurrection would either have not existed, or again, would not have been judged so harshly as it would not have been the only Aliens-style film out there. 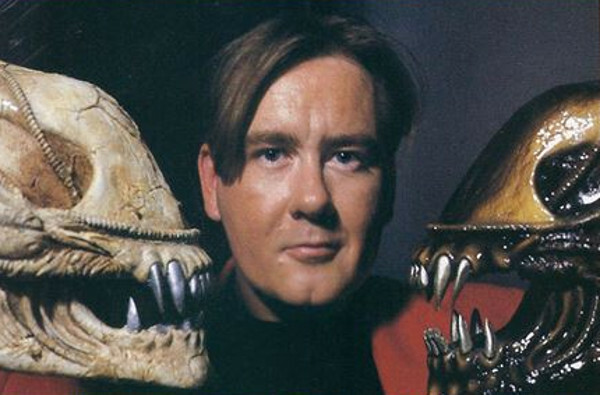 The 2000s AVP films would probably have not existed (or at least we would not have gotten the poor Resurrection Alien designs). A successful 90s AVP film would have gotten a sequel, furthering the series. There would have been the comics and action figures as well, and the cartoon might have been greenlit. AVP might have become one of the biggest sci-fi franchises out there without the reputation of having loads of post-80s detritus. You can have it both ways; the beauty of Alien is that you can have stuff like Isolation and the AVP computer games in the same universe and it all works. Aliens work equally well as either lone, invincible warriors or swarming plague monsters. True. I actually loved the AVP - AVP 2 games. I just don't see Predators in Alien movies though. It completely takes away the horror for me. I could care less about discs and lasers flying around. Predators should be in samurai or ninja movies not alien movies.